Central Park is a hexagon shaped park in the middle of Salt Lake is a beautiful hangout zone that will easily uplift your spirits if it needs upliftment....and even if it doesn't. 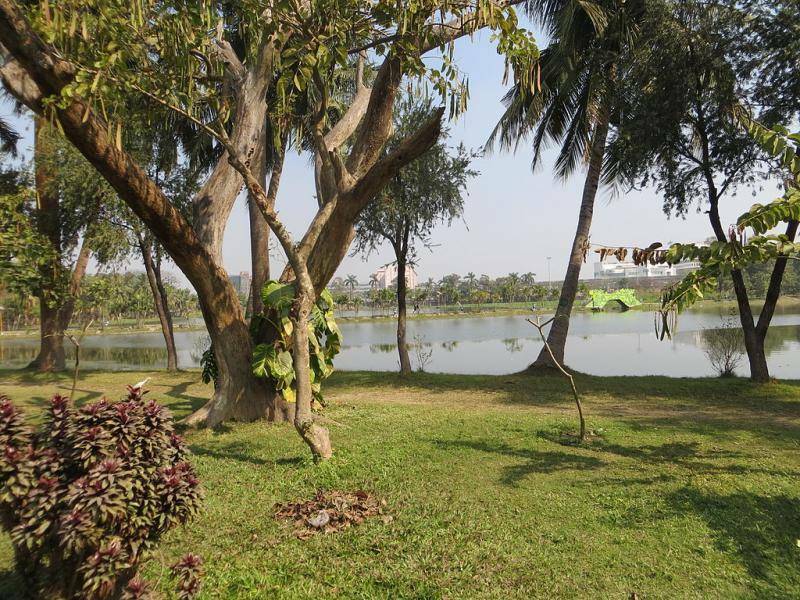 Banabitan or Central park has been constructed around an enormous water body. So, if you're a painter or a photographer or a bird watcher or a plant lover or a human being with eyes, skin, nose or ears, you are going to love this place . It has an exquisite rose garden and a butterfly garden. The bridge constructed connects to the other side of the island which has a tiny pagoda. The garden is looked after under the auspices of Nature Mates-Nature Club. A wide variety of birds come here throughout the year . Feel free to saunter into this garden if you want to get away to a nice place that will kill your worries.